A promising junior, Mark has not yet kicked on and really progressed in the same way as might be expected for someone with his amateur record. He is moving up the rankings nicely now however and it might just be that he turns out to be a late developer, particularly if his excellent run at the 2008 Masters qualifiers is anything to go by. His most notable successes as an amateur were victories in the English Open in 2005 and the Pontins’ under-20 trophy in 2003, as well as at international level in the European under-19’s Championships, winning the event in 2001 and reaching the final a year later. Having qualified for the Challenge Tour in 2003, Mark won an event during the the 2005/6 season on his way to a fifth place finish which earned him a crack at the main tour the following year. While his début season on the main tour was largely unspectacular, a run to the third qualifying round of the season-ending World Championship, (thanks in part to the retirement of Robin Hull), gave him enough points to just cling on to his main tour place as the eighth best player on the one year rankings who finished out of the top 64. Having had this reprieve, his second season was improved as he won matches in a number of events to move up to 59th in the rankings and at least consolidate his place on the main tour. His best performance of the campaign came during the Grand Prix where he emerged from a very tough first group which included the likes of Mark Davis, Jimmy White and Robert Milkins to qualify for the TV stages in Aberdeen. Once there though he struggled badly and finished bottom of his group, losing all of his matches in the process. His best run however came at the 2008 Masters qualifying event where he went all the way to the final. Having defeated Peter Lines in the first round he looked to have it all to do in his next match against 2007 event winner Barry Hawkins, but sensationally he won the match 5-0 to cause a big upset. He seemed to gain confidence from this as he went on from there to defeat Kuldesh Johal, Andrew Higginson and then most notably, Bahrain finalist Matthew Stevens, all in final frame deciders, to reach the final. Although that match proved to be one too far as he lost 6-1 to an inspired Judd Trump, his run had been by far the best of his professional career. After an early exit in the Shanghai Masters, Mark got his 2009/10 season off to a terrific start at the Grand Prix with wins over Andrew Norman, Michael Judge and Barry Hawkins to reach the last 32 of a ranking event for the first time. Though he was handed a tough draw against defending champion John Higgins in Glasgow and duly lost 5-1, his run was a marked improvement on his previous results in 2009. From there his season continued to be steady as he won three of his next opening matches, but he could not make it back to another venue, the closet he got being at the World Championship when reached the final round only to lose out there to Stoke’s Jamie Cope. Although his ranking would actually drop for the following season, his consistent form saw him earn 7,740 points during 2009/10, well in excess of his 6,438 from 2008/9. Needing a strong start to the season in order to maintain his place inside the top 64, Mark began the season in reasonable form as he won matches in each of the first four PTC events, twice reaching the last 32 stage. Unfortunately however, opening round defeats in both the Shanghai Masters and World Open qualifiers were to prove costly and meant that he would drop to 65th position in the rankings at the season’s first cut-off point. 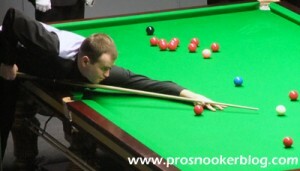 Mark’s response was to be emphatic as beginning in the first qualifying round for the UK Championship, he managed to win all four matches at the Academy to qualify for his first venue of the season. His most eye-catching performance came in the final round where he swept aside Steve Davis with a 9-2 win, though close victories against both Alfie Burden and Marcus Campbell were equally as impressive. 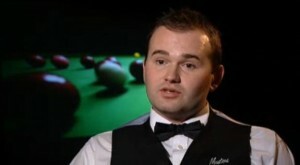 At Telford he was to meet reigning Shanghai Masters champion Ali Carter in a match that few expected him to win. From the start however Mark looked to be the more comfortable player of the two, a break of 97 setting him on his way to what would eventually be a 9-6 success. Next up was Judd Trump who on the back of a good win over Jamie Cope was the favourite for the match having previously defeated Mark to win that Masters qualifier. 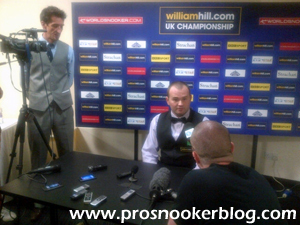 This time though it was to be Mark’s day as he took a close match 9-7 to book a quarter-final clash with Mark Williams. That match proved to be a topsy turvy affair as Joyce trailed 4-0 early on only to come back and level at 4-4 at the close of play. Although he continued to push the former world champion hard in the evening session, a career and tournament high break of 143 was not to be enough as Williams ground out a 9-7 win. Still, it had been surely the best week of Joyce’s career and enough to move him up not only inside the top 64 once again, but into the top 48. Although his results between his UK run and the end of the season were not to prove as spectacular, he had done enough to finish the campaign ranked 42nd. 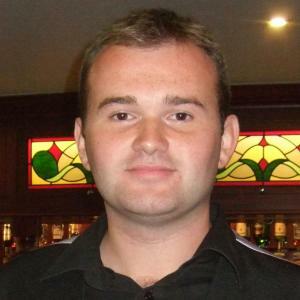 Mark began the 2011/12 season impressively by taking victory in the second Pink Ribbon tournament staged at the South West Snooker Academy in Gloucester. Along the way he defeated Jimmy White (from 3-1 down), Stephen Maguire, John Higgins, Michael White and finally defending champion Michael Holt to lift the title. 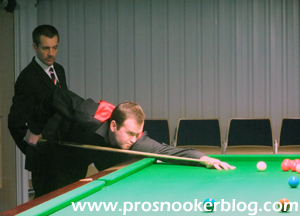 As the ranking event season began however, Mark was to struggle for wins, particularly during the PTC as he was able to qualify for the last 16 of an event on just one occasion at PTC4. Opening round wins came at the Australian Goldfields Open and UK Championship qualifiers, but he was unable to qualify for either venue and was to lose his place inside the top 48 as a result. The second half of Mark’s season was to prove similarly difficult, with the exception of the Welsh Open tournament, which he was able to qualify for with victories against Daniel Wells, Joe Jogia and Andrew Higginson, before losing to Shaun Murphy in Newport. His season however was to end on a low note, a 10-4 defeat to David Morris at the World Championship qualifiers seeing him end the campaign ranked 59th. Mark was to make a solid start to the 2012/13 season, winning at least one match in eight of his first nine tournaments played, reaching the final qualifying round of the Shanghai Masters. A quarter-final run was to follow at the UKPTC4 event, where he defeated former ranking event winners Dominic Dale and Mark Allen, before he successfully qualified for the UK Championship with victories against Andy Hicks and Jamie Cope. Drawn against Judd Trump, few had expected Mark to pose a threat to the defending champion at the Barbican Centre in York, but as he recovered from 5-2 down to defeat the world number one, he reminded everybody of the form that he had displayed two years previously. Though he could not repeat his 2010 victory against Ali Carter in the next round, a quarter-final run at the ET5 event in Ravenscraig, followed by his successful qualification for the 2013 Haikou World Open, would ensure that his year ended on a high. 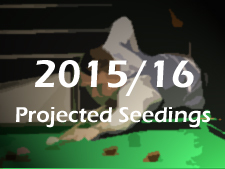 2013 would continue in a similar vein for Mark as he began by defeating Aditya Mehta, Gerard Greene and Dominic Dale to qualify for the venue, although he was subsequently forced to withdraw due to the birth of his first child. His season would end with a run to the final qualifying round of the World Championship, where having defeated Northern Ireland’s Joe Swail 10-7, he then lost out to Michael Holt by the same scoreline. Mark’s strongest run during the 2013/14 was to come in China at the Haikou World Open tournament, where having qualified with victory against Fraser Patrick, he then went on to defeat David Morris, Barry Hawkins and Kurt Maflin to reach his second ranking event quarter-final. Though he was to take a 3-2 lead against 10th seed Marco Fu, it would be the higher ranked player who would win the next three to prevail 5-3. Elsewhere, Mark was also able to qualify for the venue stages of the Shanghai Masters before losing at the last 32 stage, as well as reaching the same stage of the International Championship. Though it was to be a steady season overall in comparison with the previous year, his result at the Haikou World Open was enough to see him up to a career high ranking of 34. Mark was to climb to a career-high ranking of 31st during the 2014/15 season, but overall it was to be a relatively difficult season for him as he failed to progress beyond the last 32 of any event carrying ranking points, while he also lost in the second round of qualifying for the World Championship at Ponds Forge. 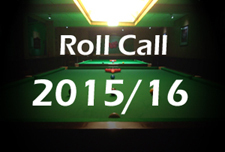 He would therefore finish back down in 47th place in the official world rankings at the end of the season.